Sub-canopy tree up to 27 m tall and 52 cm dbh. Stipules ca. 15 mm long, dropped early. Leaves opposite, simple, penni-veined, glabrous, leaf margin toothed. Flowers ca. 5 mm diameter, white-yellowish, placed in branched inflorescences. Fruits ca. 10 mm long, yellow-red, pulpy drupe. 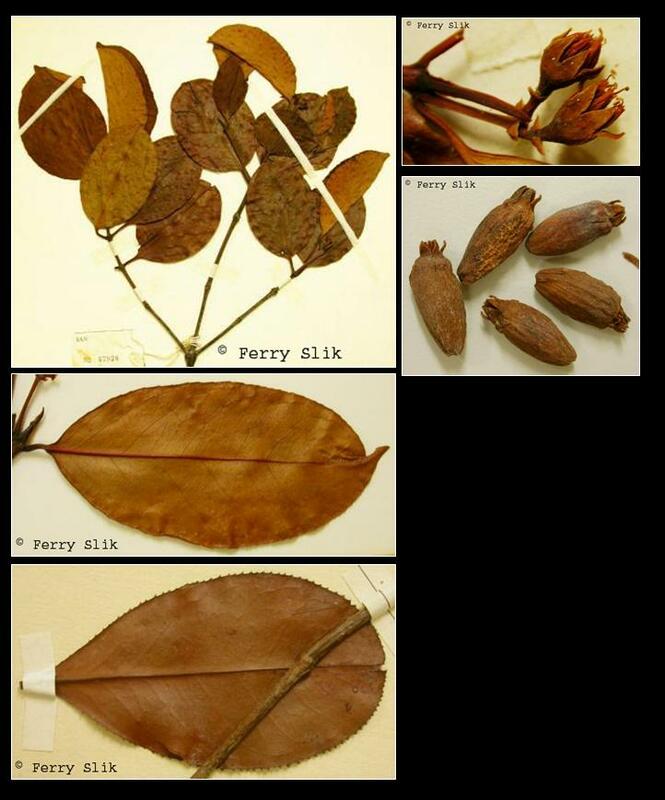 In undisturbed mixed dipterocarp, keranga, coastal and sub-montane forests up to 2000 m altitude. On ridges and hillsides, but also common on alluvial sites and near or along rivers and streams. Usually on poor sandy to ultrabasic soils, but also on clay and limestone. In secondary forests usually present as a pre-disturbance remnant. Borneo (throughout the island), Philippines, New Guinea. Borneo: Karibas, Kemuning hutan, Kulit buaya, Panabaron, Rangu, Sabar buku.